This poster focuses on the invention of the computer. It is a part of a twelve-poster series that demonstrates how scientific developments have a profound impact on the world and the evolution of our society and civilization. 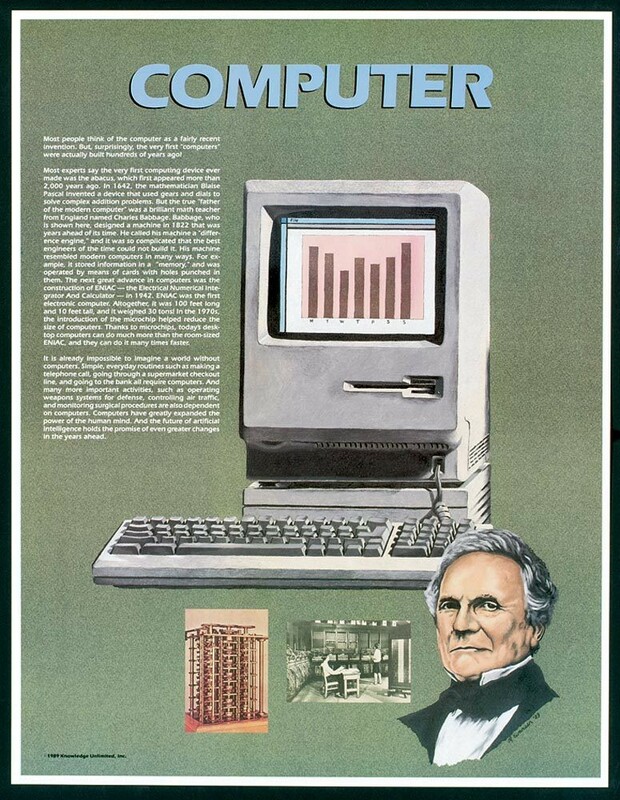 The poster features an artistic rendering of a computer and a drawing of Charles Babbage, who in 1822, designed a forerunner of the modern computer, one machine he called a "difference engine," and a more advanced version he called an "analytical engine." 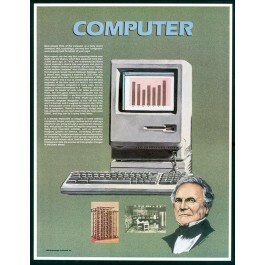 The poster also contains text that explains the history of the development of the computer and how computers have revolutionized our world.